Here's a look at some of the verified and unverified kits that the tennis pros will be sporting down under. “@NikolaP9: Amazing!! @AnaIvanovic #Ajde pic.twitter.com/ESqB8Diyla” looking forward to wearing my new dress in @AustralianOpen Do you like it? 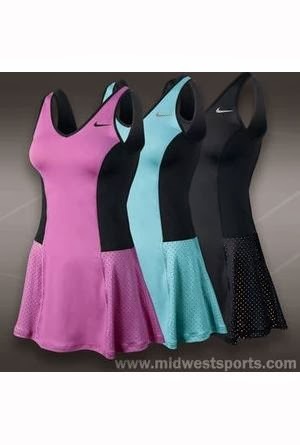 so cool..definitely she will blend well on court..."@SharafamilyW: Maria's dress for the Australian Open 2014. pic.twitter.com/pdeEX3KvVZ"